The other night I received anonymous photos of someone cooking chicken wings. The photos actually made me feel very good. As you have been reading in previous emails, cash flow at our organization has seen better days. And the credit with our vendors is overextended. Two weeks ago, we actually did not distribute any chicken during the raw food distributions. At Masbia we try to use the media to spread awareness to the issues facing the needy and Masbia's accomplishments. We hope this list makes you proud. Challah is a very basic food staple in a Jewish household. Therefore, making sure people have the ability to put challah on the table is something that is very important to us at Masbia. This is why it's included as part of the basic staples that are distributed to the needy. Challah also poses a dilemma. What type of challah should be offered? Being that it is so popular also means that there are various takes on it, or what happens to someone who does not need challah? After months of collaborating with KJ Poultry to find an eco-friendly, cost-effective package for chicken, clients at the Masbia food pantry will be receiving this new poly-pouch. See photo. Chicken is one of the most sought-after items at the Masbia pantry distributions. "There isn't a single food item that makes our clients as happy as when they receive chicken," said Alexander Rapaport, Executive Director of Masbia Soup Kitchen Network. 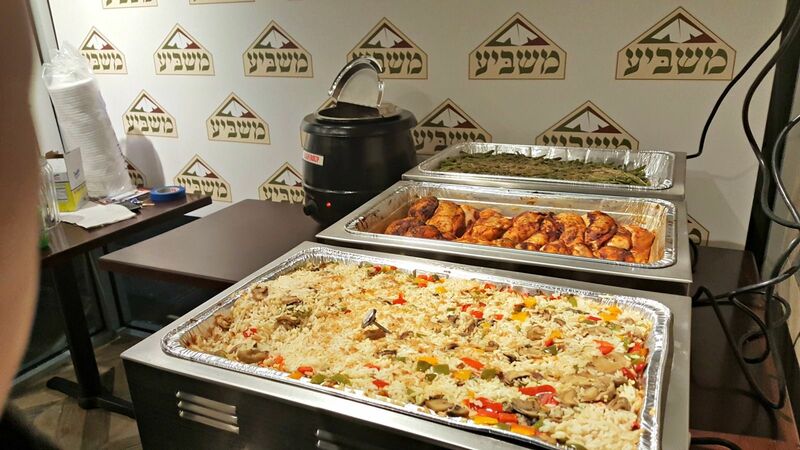 See news clips and articles on Masbia staff and volunteers feeding the needy for Rosh Hashanah for over a decade. The news stories and videos are listed in chronological order. All of the High Holidays are jam-packed in the month of September, leaving only 7 full work days. Typically, people who are in the gig economy are more prone than people with salary based jobs in needing to use Masbia. For example, when one has a gap in demand for their work or doesn't feel well and can't work. This September, the Hebrew calendar has the potential to push all of them into such a situation, causing Masbia to be in high demand.